© Tahitian Noni International. All rights reserved. « Business Opportunity » sections. For other questions, contact us at the « Contacts » section of our website. TAHITIAN NONITM Juice drink has a beneficial effect on the immune system and contains strong antioxidants which help the body to fight efficiently against the free radicals? 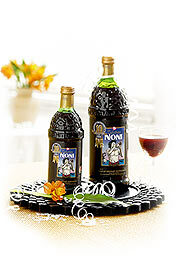 This noni drink also provides energy. Copyright 2011 Suc-de-noni.ro All rights reserved.